Pittsfield- Anna Irene Maruk Trzepacz died on Thursday, July 5, 2018. She was the loving wife of the late Walter P. Trzepacz who died July 23, 1989. Anna and Walter were married on October 25, 1947 in Pittsfield, MA. Anna was born in Pittsfield the daughter of the late Dorothy Nykorchuk and Michael Maruk. She attended local schools and was a graduate of Pittsfield High School. Primarily a homemaker, Anna assisted her late husband in the operation of the former Royal Scarlet Market on Wahconah St. as the bookkeeper. 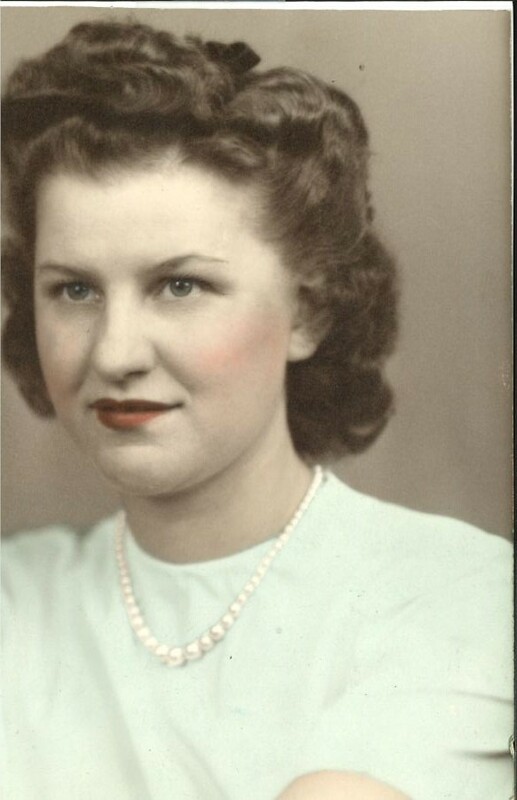 Anna was an avid gardener, and enjoyed cooking and baking for her family. She also loved caring for any stray cats in the neighborhood. She and Walter enjoyed taking trips to the shore, visiting relatives in CT and entertaining family at their cottage on Onota Lake. Anna was a kind, lovable, and generous person who talked less about herself and was more interested in how each of her nieces and nephews were doing. Auntie Anna, as she was affectionately called, leaves 12 nieces and nephews, as well as many grand nieces and nephews, including her nephew Robert P. Sorbara and his wife Barbara Sullivan Sorbara, who have provided her care for the past 29 years. She will be greatly missed by her niece Dorothy Sorbara Shea and her husband John, her nephew Mark Stomsky and wife Doreen, her nephew John Polidoro and his wife Gloria, and her niece Kathryn Maruk, her nephew Jack Maruk, her niece Stephanie Maruk Dastoli and husband Ralph, her nephew Michael Maruk and wife Diana, and her niece Christine Maruk O'Connor and husband Peter. Besides her husband, Anna was predeceased by two brothers, John and Peter Maruk and two sisters, Helen Polidoro and Mary Stomsky. She was also predeceased by her nephews William “Billy” Polidoro and Peter Maruk Jr. A special thanks to Billy’s wife, Rosemarie Polidoro, for her continued help and support in the care of Anna for all these many years. The family would like to thank the many caregivers at Wingate, previously known as Melbourne Place, and the staff at Berkshire Place for their excellent care and kindness shown to Auntie Anna. SERVICES: Funeral services for Anna will be held Monday, July 9th at 12 O’clock at the Devanny-Condron Funeral Home with Rev. Christopher Fedoryshyn, administrator of Sacred Heart Church, officiating. The family will receive friends the morning of the service at the funeral home beginning at 11AM. Burial will follow at St. Joseph’s Cemetery. If friends desire, memorial donations may be made to the Eleanor Sonsini Animal Shelter, in care of the Funeral Home.